A new bike store in the Bay Area of San Francisco has come up with an interesting way to get people to reduce their transportation footprint. 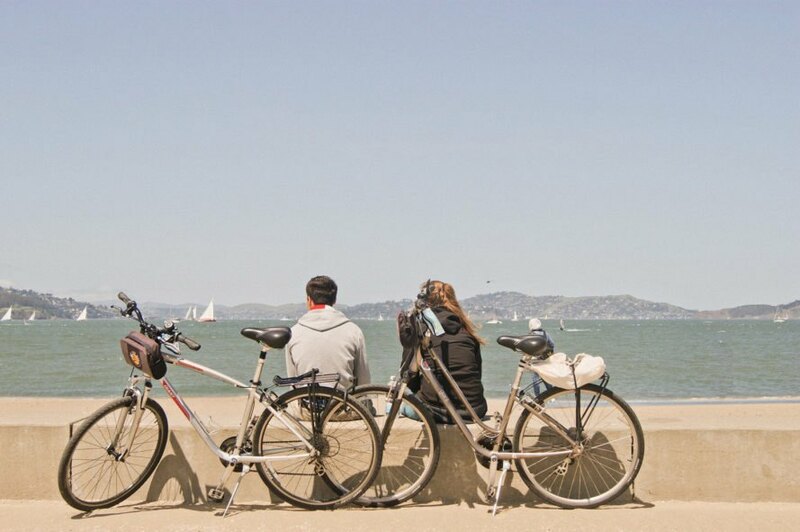 Electric bikes make a great alternative for commutes in cities like San Francisco, but many people find the hefty price tag of an e-bike prohibitive. The New Wheel solves that by allowing patrons to trade in their old vehicles for an e-bike – and a healthier lifestyle. San Francisco’s 74 hills don’t make for pleasant bike commutes – unless you’ve got an e-bike to help you. The New Wheel is making it easier for people to obtain e-bikes. Patrons can bring in their old cars, and the bike shop will take notes on the car’s condition and mileage, and send the information to Roadster.com. 48 hours later they make patrons an offer, and will even come pick up the old car and deliver a check. Ideally patrons will spend some of that money on an e-bike at The New Wheel, but aren’t required to do so. The New Wheel has adopted other ideas from the car industry to help people get used to the idea of owning a bike as their main vehicle. They offer financing for e-bikes and allow people to trade in their old e-bikes. They even offer roadside assistance; if bikers get a flat tire The New Wheel will pick them up twice a year and give them a free ride up to 30 miles. 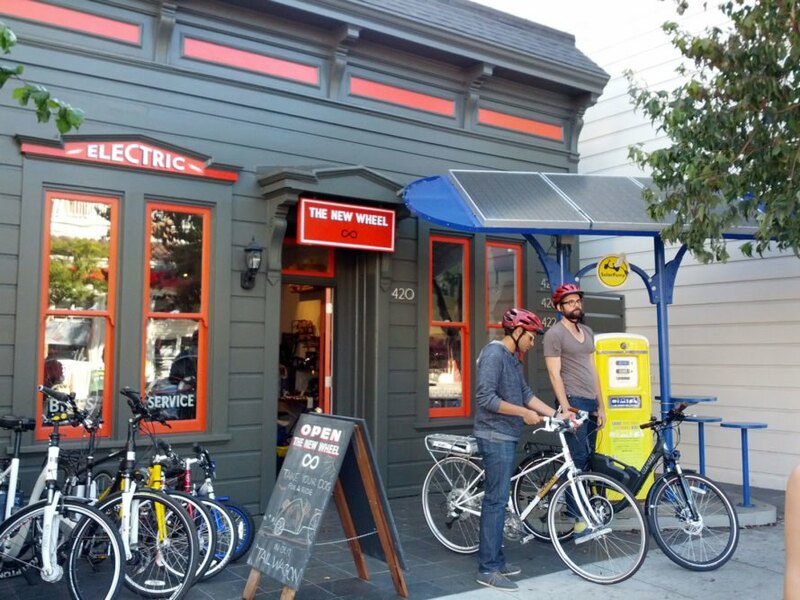 A San Francisco bike shop lets you trade in your car for an electric bike. The New Wheel offers to sell your old car to Roadster.com and will give you money for an electric bicycle. The New Wheel hopes to get people out of cars to ride bikes instead.